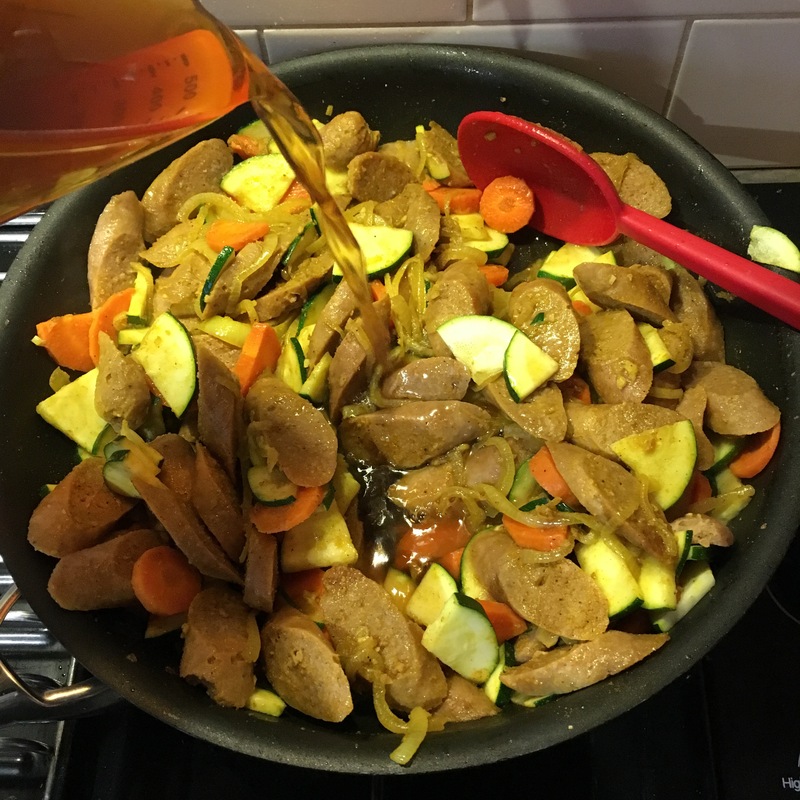 You really can’t go wrong with curried snags for the whole family, especially in Winter. There’s just something so comforting about a curry on a cold night! This is a perfect midweek meal and the kids love it. In fact I don’t think I’ve ever come across anyone who doesn’t love good old fashioned curried sausages. This recipe is from Amanda Voisey’s new cookbook Cooking for Busy Mums. 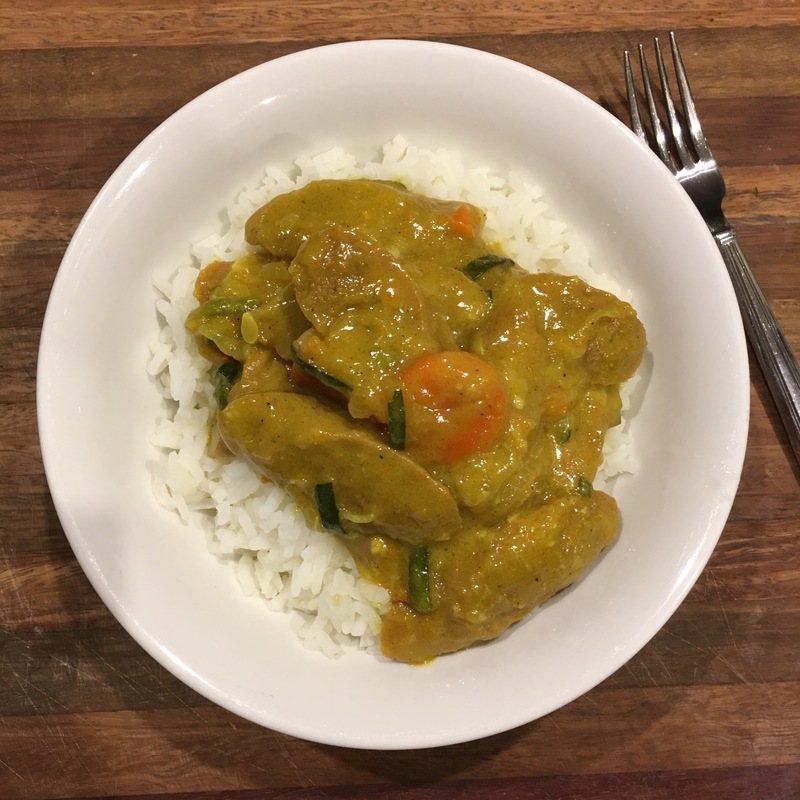 Amanda is a mum of two boys from the Gold Coast who started the blog @cookingforbusymums in 2010 and now has almost 17,000 followers on her Instagram page (in fact, we wish she was from the Mornington Peninsula so we could interview her for Mama’s Inspire!) Cooking for Busy Mums is filled with more than 150 easy, quick and cost effective, home-cooked meals for the whole family. 1. 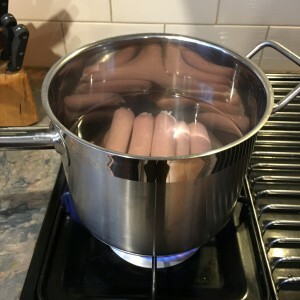 In a large saucepan of hot water parboil the sausages for 5 minutes or until the skins begin to split. You can remove the skin if you like before chopping them. 2. 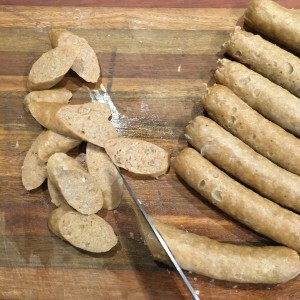 Slice the sausages into discs. 3. 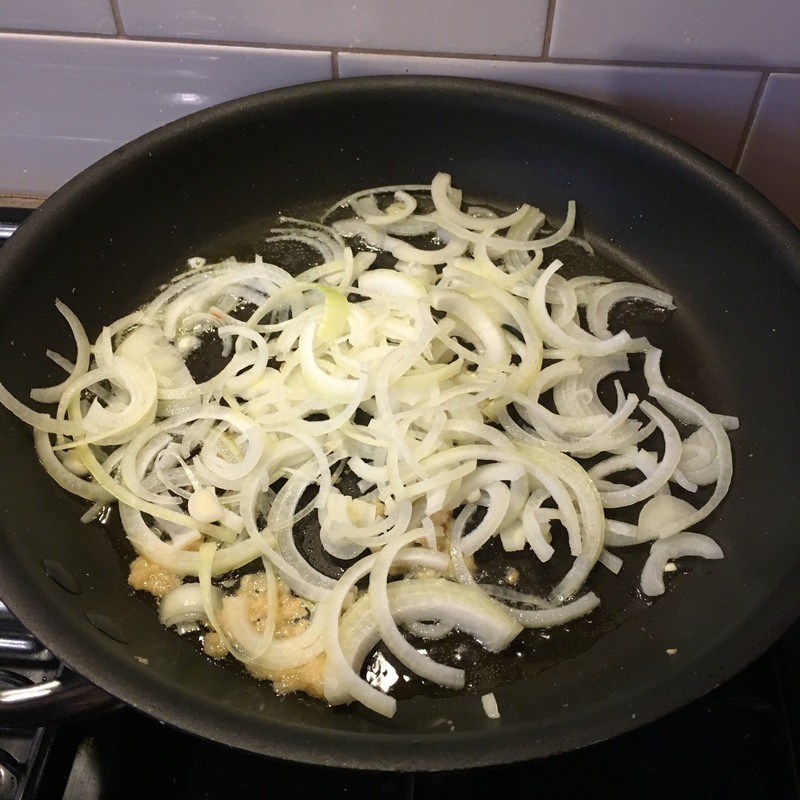 In a large frypan (you can also do it the same saucepan you used for the sausages if you are increasing the ingredients to make more and it means less dishes of course), sauté the onion and garlic until in some olive oil until softened. 4. Add the curry powder to the pan and cook, stirring, until fragrant. 5. Add the sausages and remaining vegetables to the pan and stir to coat with the curry powder, then cook for five minutes. 6. Add the stock and reduce to a simmer for 10 minutes or until the vegetables soften. Add the sultanas. 7. Meantime boil another saucepan of water for the rice. Add the rice once boiled and cook for about ten minutes or until it is soft. 8. Season the curry with pepper and stir through the coconut milk (you don’t have to use the coconut milk but we find our kids prefer a thicker, creamier curry). Also if at this stage you think it needs thickening you can add a teaspoon of cornflour (first mix the cornflour with a tablespoon of hot water before adding it to the curry). 9. Serve on top of the rice, delish! 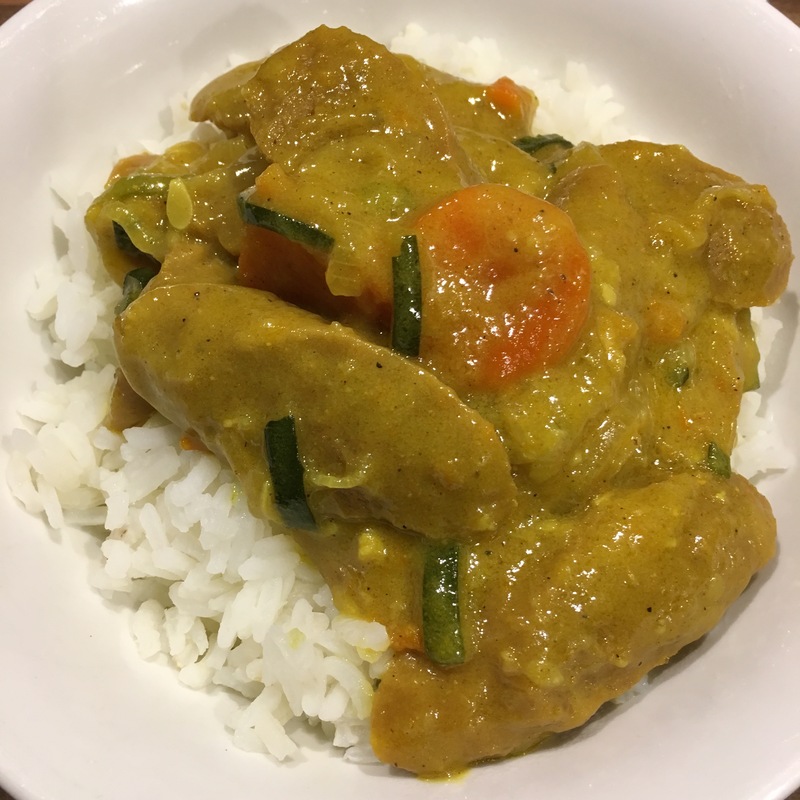 Note: This meal serves four but we found if you add a few more veggies and another cup of rice you can squeeze it out to two nights, bonus for a busy mum!! JEDpdo Wow, awesome weblog layout! How long have you ever been running a blog for?